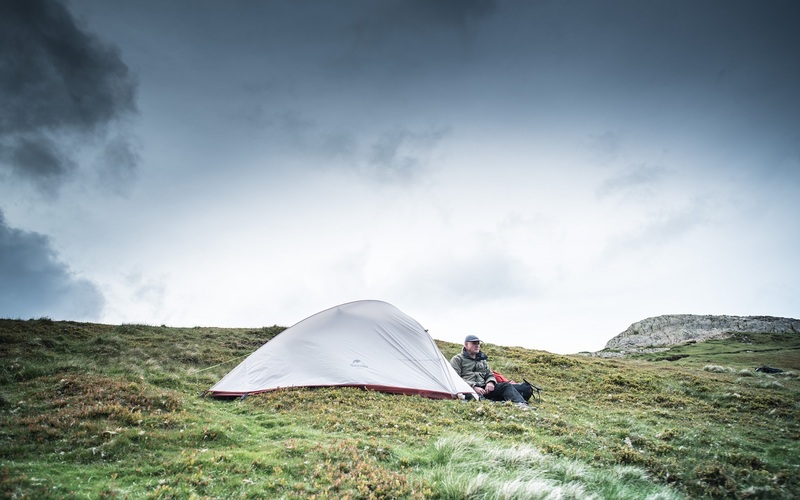 Welcome to the Nikwax blog » Look after your tent and it will look after you! The camping season is beginning, with longer, warmer and drier days enticing people to pitch up outdoors. 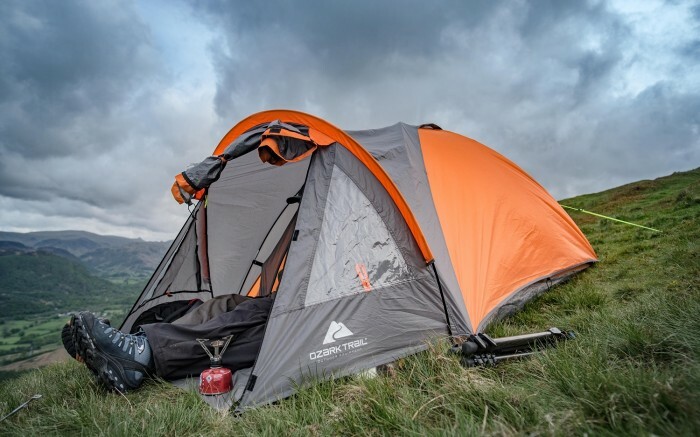 However, your tent needs to be kept in good condition to keep you dry while sleeping under the stars. Tents are usually made from synthetic fabrics that have been coated with a water repellent finish. However, the sun and rain destroys this coating, weakening the fabrics tear strength and potentially allowing water to get in. After two weeks of continuous exposure to the sun’s UV rays, the fabric can lose half its strength. The best protection for your tent and other synthetic-made gear like rucksacks, camera bags and bike panniers, is Nikwax Concentrated Tent & Gear SolarProof. 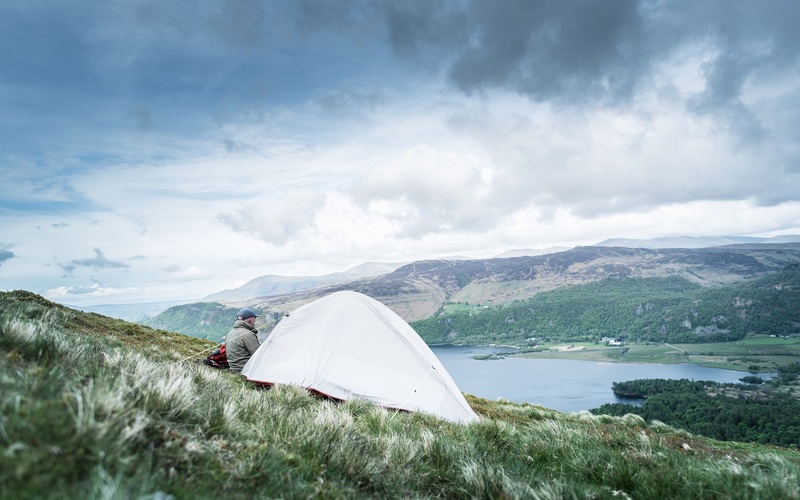 Its specialist formula could double the life of your tent or equipment by protecting the fabric against harmful UV rays, whilst adding water repellency. If you have purchased a new tent, we advise applying Concentrated Tent & Gear SolarProof straight away for added protection. Older tents will likely be dirty so clean them with a diluted solution of Nikwax Tech Wash before applying Tent & Gear SolarProof. There’s no need to wait for your tent to dry before applying Tent & Gear SolarProof as it can be added to either wet or dry fabrics. Either erect the tent, or protect a working surface and lay the item flat. Rinse off dirt with clean water. For mud and stains, clean with a diluted solution of Nikwax Tech Wash. Apply Tent & Gear SolarProof by hand with a sponge, brush or spray. If using concentrated Tent & Gear SolarProof, dilute the 150ml pouch in 350ml of water and mix well. (Or use 2 parts product to 5 parts water). Wait for 2 minutes and remove any surplus product with a damp cloth. Air dry ensuring your tent is fully dry before packing it away. Dependent upon the condition of the fabric you should look at using approximately 50ml of product per 1m2 of fabric. A 500ml bottle of Tent & Gear SolarProof will therefore cover approx. 10m2. If you have a canvas tent, then you should use Nikwax Cotton Proof instead of Tent & Gear SolarProof. Your tent is now ready for your next camping adventure!